Enjoy comfortable yard furniture to lounge solo or add multiple to entertain family and friends - Rest under a tree or sunset, lay poolside, or relax on the deck - Nestle into cozy "cocoon" while reading - Listen to the sound of rain, crickets, bird chirping, or quiet night of stargazing, and more - Get on and off easily with low to the ground design, suitable for people with balance issues. 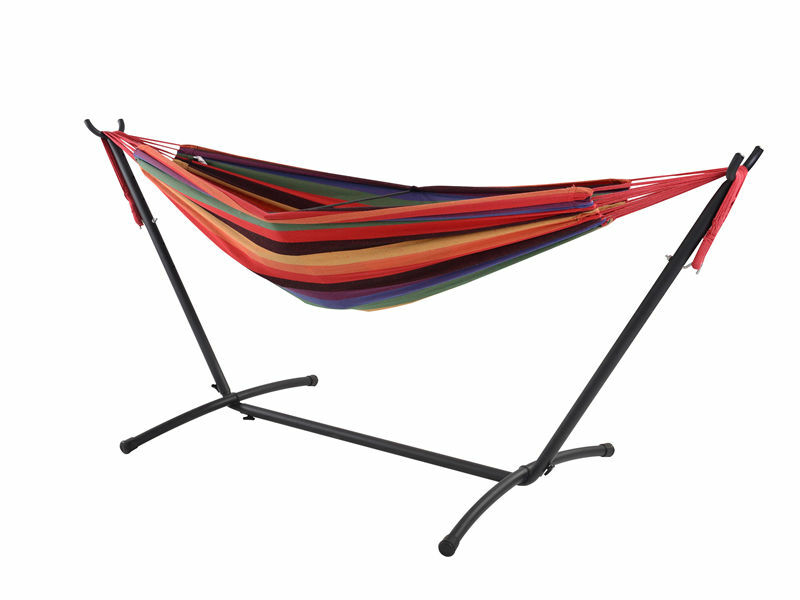 This is our best selling combinationHammock with Steel Frame. creating a comfortable refuge for an afternoon snuggle. The space saving stand is constructed of heavy duty steel and easy to assembles . Plastic caps are used on the ends of the steel tubing to create a soft finish. 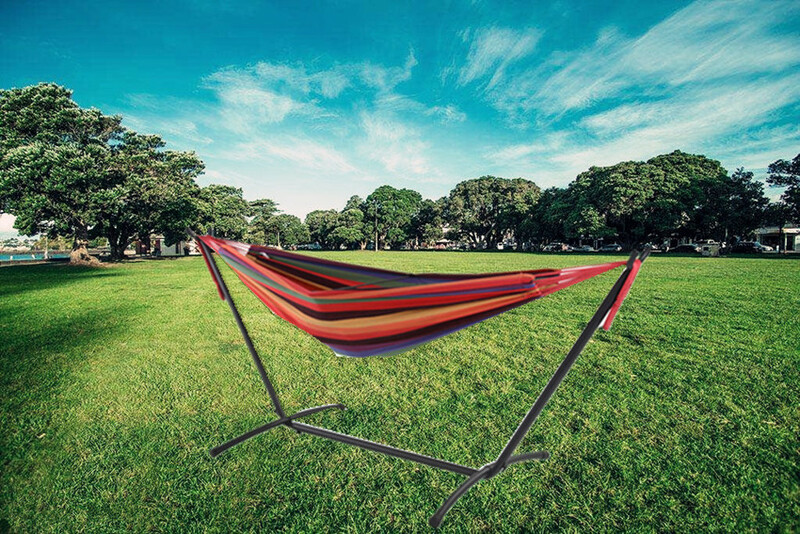 you'll enjoy the freedom of setting up your hammock anywhere and no longer relying on those 2 perfect trees! Looking for ideal Hammock with Steel Frame Manufacturer & supplier ? We have a wide selection at great prices to help you get creative. All the Ourdoor Matel Stand Hammock are quality guaranteed. We are China Origin Factory of Outdoor Fashion Hammock Bed. If you have any question, please feel free to contact us.